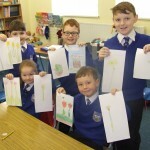 Spring has sprung- inside BICS if not outside! 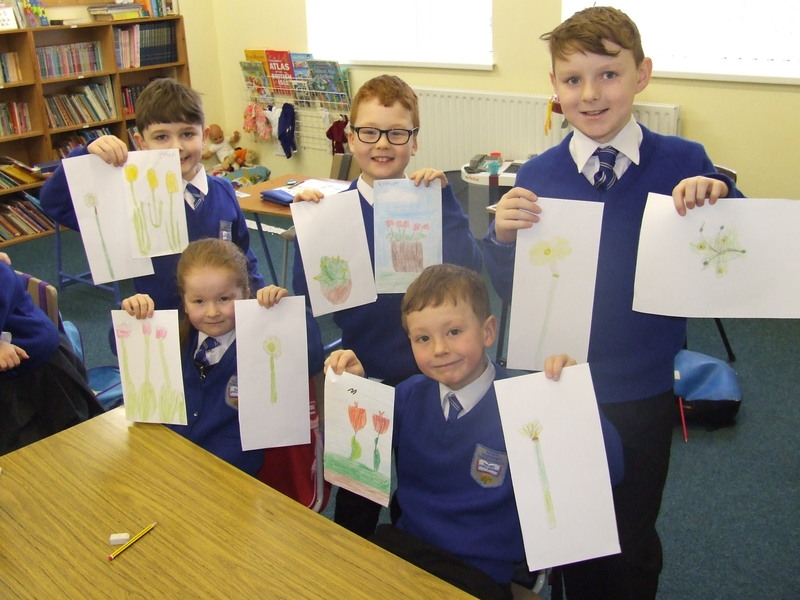 Some Primary pupils are pictured with their Spring artwork. 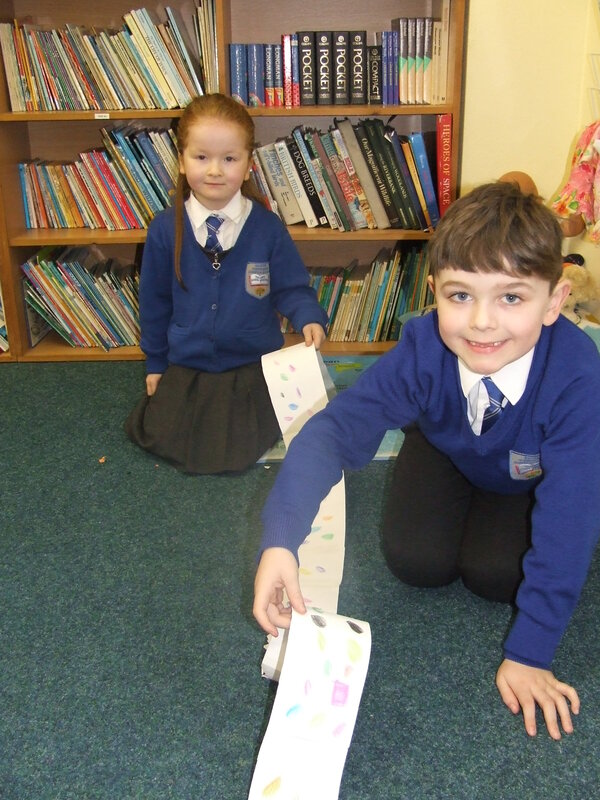 P2s Faith and Ethan are pictured with their two metre snake. 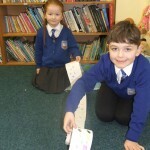 In numeracy work they have been learning about length by measuring in metres.